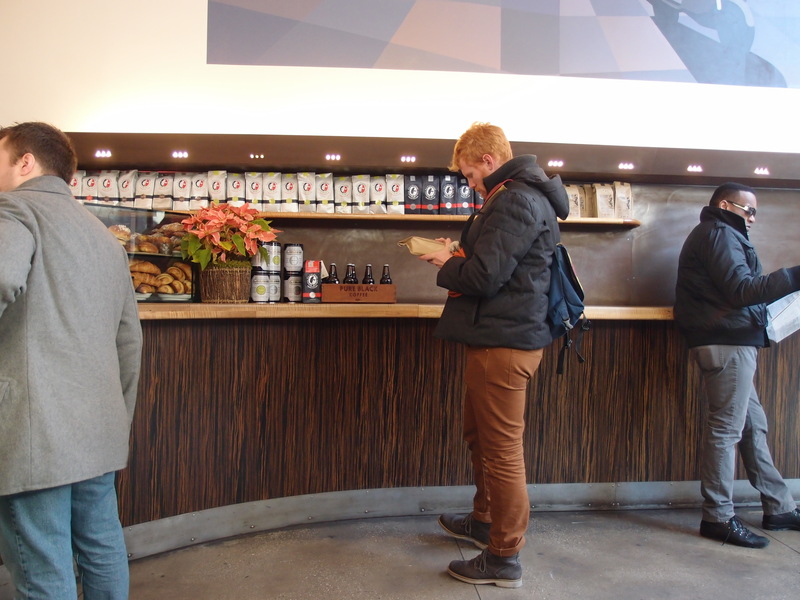 The New York City outpost cafe – La Colombe Torrefaction. For as long as I can remember, it has always been very difficult to get good coffee in the USA. For a country that consumes more coffee than anyone else in the world, it is hard to believe a huge percentage of consumers get their morning brew from 711 or Dunkin’ Donuts. Fortunately, there are some cities that are following trend from Europe and the New York coffee scene is right on track. Functioning much like the micro brewery phenomena in California and across the West Coast, the East have struck their own cord by introducing some quality roasting houses and outpost cafes around town. These outposts, largely spread across Greenwich Village, the Lower East Side, SoHo and the Upper West Side tend to have the same formula between businesses. All the stores are very small with opposing bohemian – wooden, homely and purposefully messy – or chic – sophisticated black, white and minimalist – styles. Coffee is the feature and centrepiece for once and food is set aside for the appreciation of the many different brewing and serving methods of coffee. 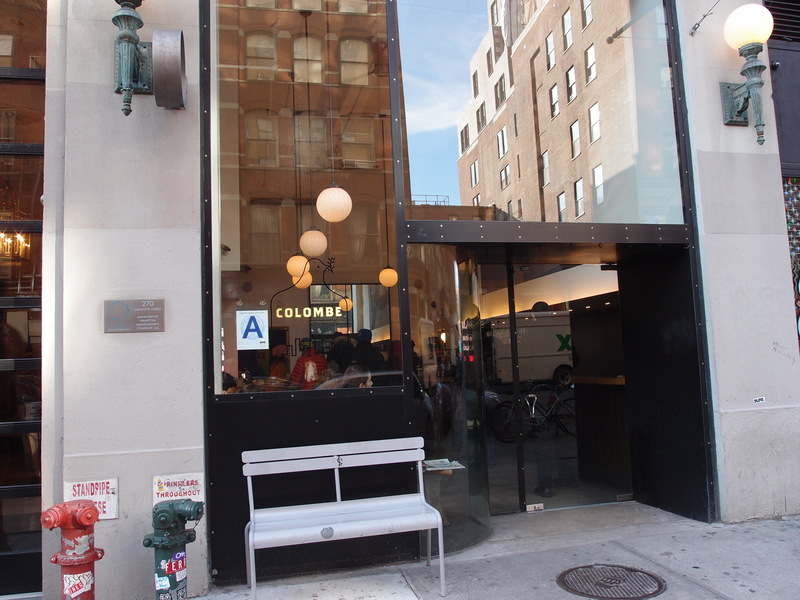 La Colombe Torrefaction have three locations around Lower Manhattan, in TriBeca, SoHo and NoHo. They also have stores in Philadelphia, Chicago and oddly enough, Seoul. Their setup is not something unusual for here in Australia or for the European espresso bar but for Americans the absence of merchandise and the minimalist nature of La Colombe Torrefaction is somewhat confusing yet refreshing. Colombe focus on the coffee, offering sweet sized treats in the smaller New York stores and sandwiches in their hometown Philadelphia stores. I always enjoy visiting the SoHo store at 270 Lafayette Street. This store fulfils the philosophy of Todd Carmichael and Jean Philippe Iberti, who have been working on Colombe since 1994. The stark, sun drenched pocket store has little space to sit and is filled all day with mostly commuters on their way to somewhere more important. The staff there are overly hipster and far too cool for any of their customers but they know how to make coffee and that after all is the point. They use a La Marzocco Gb/5 with ethically farmed direct blends and single origins from various countries. Colombe offer a range of brewing methods and tread lightly with the milk. Their blends are dark and strong and support the industrial feel of the café itself. 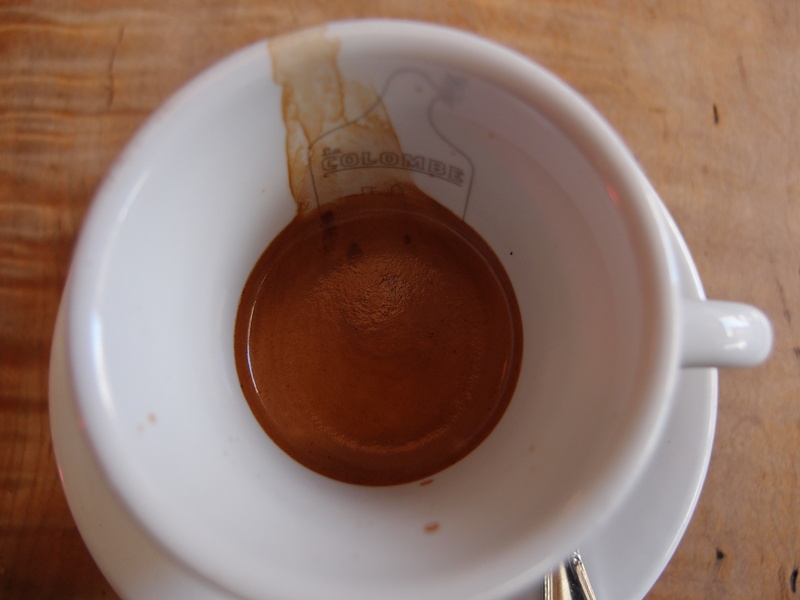 Short Black – La Colombe. The Colombe attitude is to think big but act small and in the decade since they opened their doors, have maintained their comfortable position in the market without collapsing under the mass corporate side of coffee. They reach a large market with their modest but highly successful specialised methods whilst creating a great community environment. Despite their small, big time success, there are far too many chain outposts forming across the city such as ‘Joe’, an attempt to compete with the likes of Starbucks, Au Bon Pain and the Coffee Bean. Although, these smaller outposts are doing a fine job, they are crossing the line into mass commercialisation whist trying to maintain their indie vibe. Unfortunately, I don’t think you can have both philosophies in the one store. Despite this however, they are proving to make a junction between mass corporation coffee and micro roasting brew houses around the country. Hopefully we see more outpost stores like La Colombe Torrefaction with ethically motivated coffee ambitions in the future.